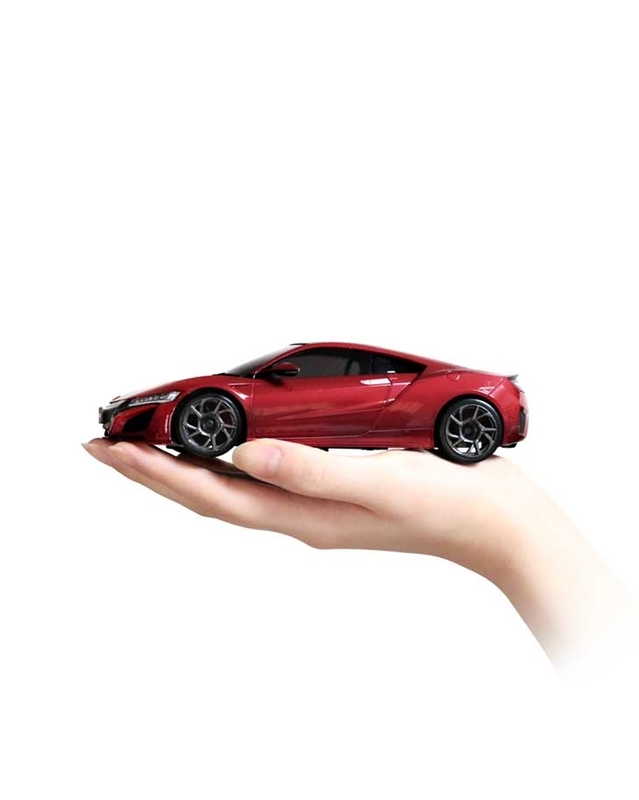 The MINI-Z is a precision palm-top sized RC (Radio Control) car. 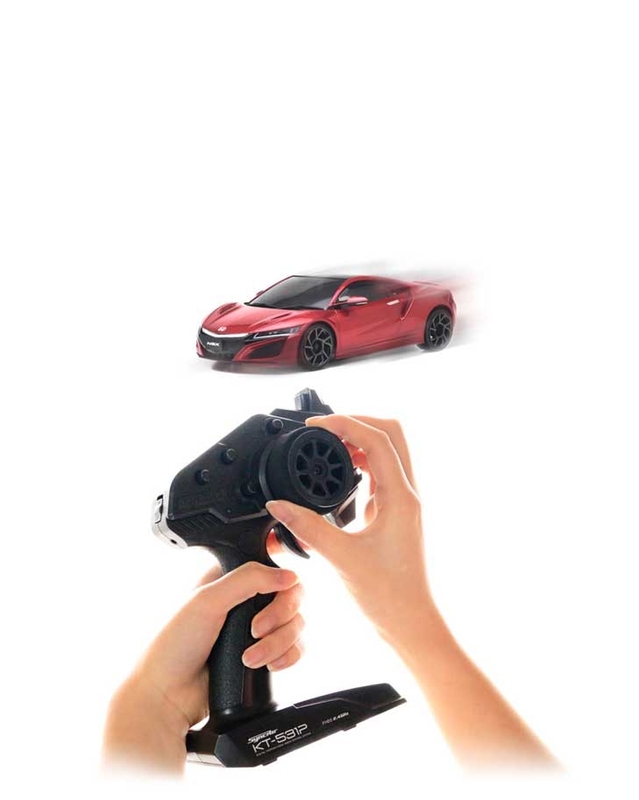 Drive, fine tune, drive, to learn the characteristics of your machine and driving technique. Check out the MINI-Z at Kyosho’s official MINI-Z Cup race events! 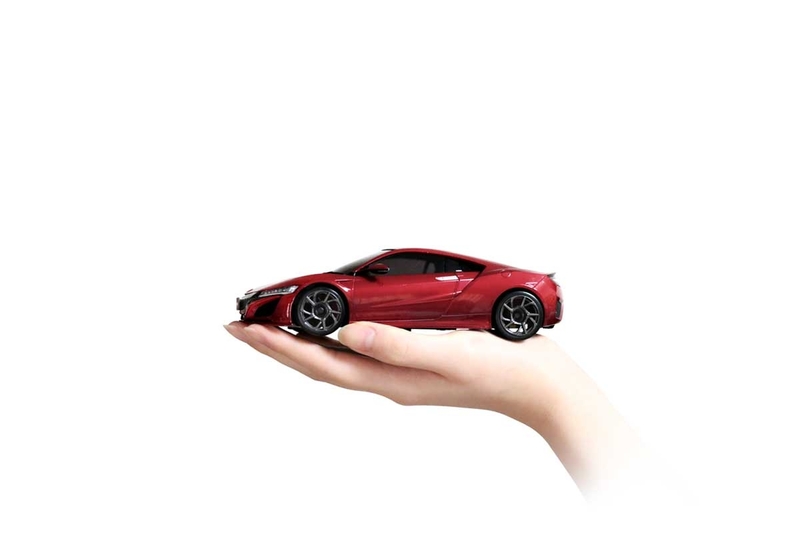 Check out the MINI-Z at Kyosho’s official MINI-Z Service Station! Can be fully disassembled! 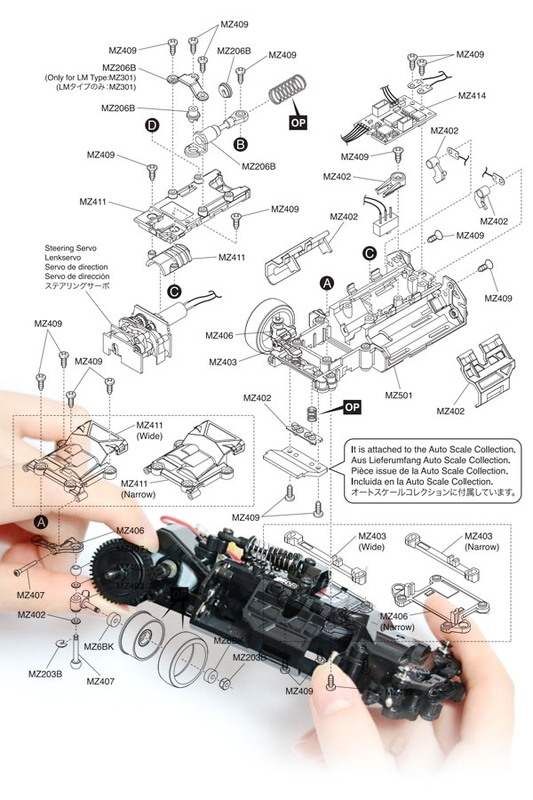 Unlike toy RC cars, the MINI-Z is designed for tuning and includes a detailed exploded view diagram with the instructions. 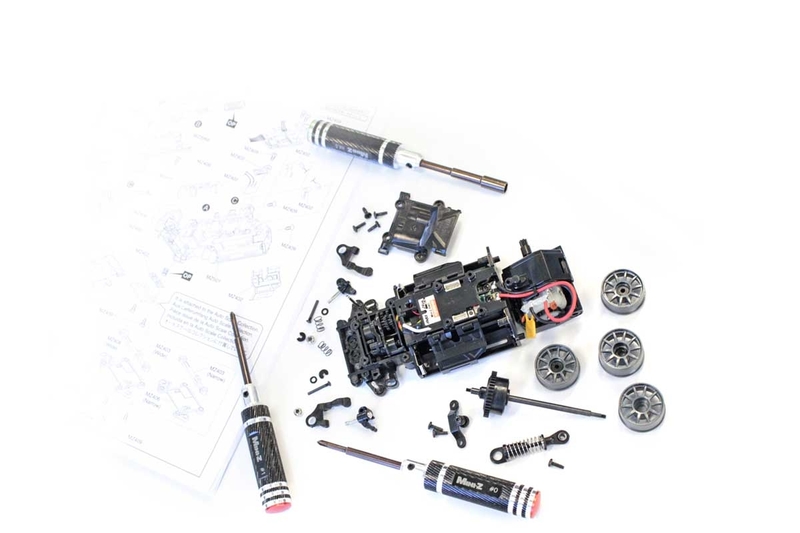 If your MINI-Z suffers crash damage, just disassemble and replace the broken parts. 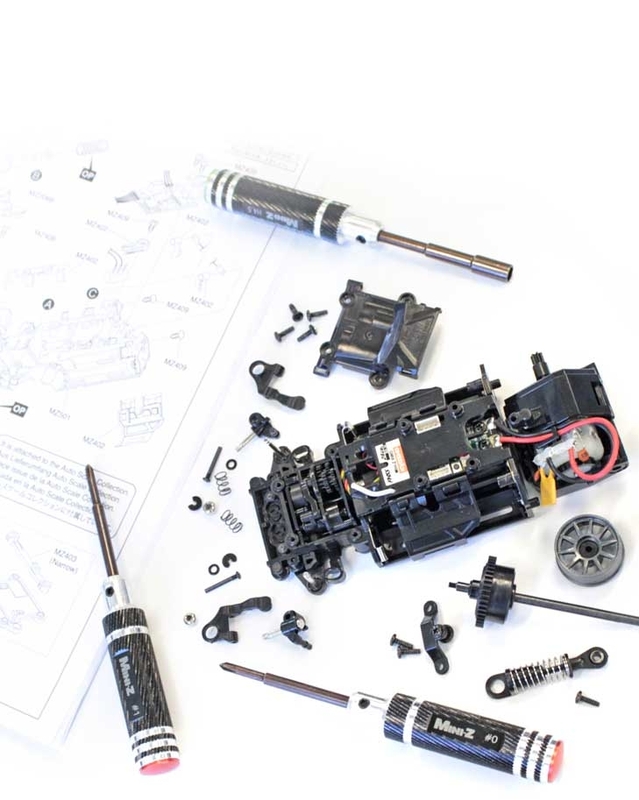 You can understand your MINI-Z inside out while replacing parts and following the instructions. The MINI-Z lineup features sports cars, buggies and SUV’s. 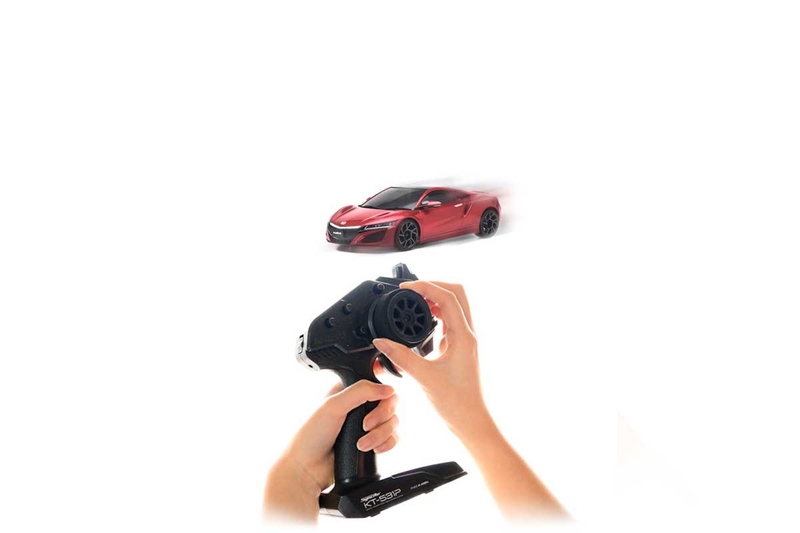 Pro-race spec models without transmitter as well as 2WD and 4WD versions are also available. For 2WD models, there are both FWD and RWD versions while the 4WD MINI-Z features AWD, just like real drift racing machines. In addition, a stay-upright Moto Racer motorcycle is also part of the MINI-Z range.